Told in alternating perspectives by a varied and vocal cast of characters, Nussbaum pulls back the curtain to reveal the complicated and funny and tough life inside the walls of an institution for juveniles with disabilities. From Yessenia Lopez, who dreams of her next boyfriend and of one day of living outside those walls, to Teddy, a resident who dresses up daily in a full suit and tie, to Mia, who guards a terrifying secret, Nussbaum has crafted a multifaceted portrait of a way of life hidden from most of us. In this isolated human warehouse on Chicago's South Side, friendships are forged, trust is built, and love affairs begin. And it's in their alliances that the residents ultimately find the strength to bond together and finally fight back against their mistreatment. 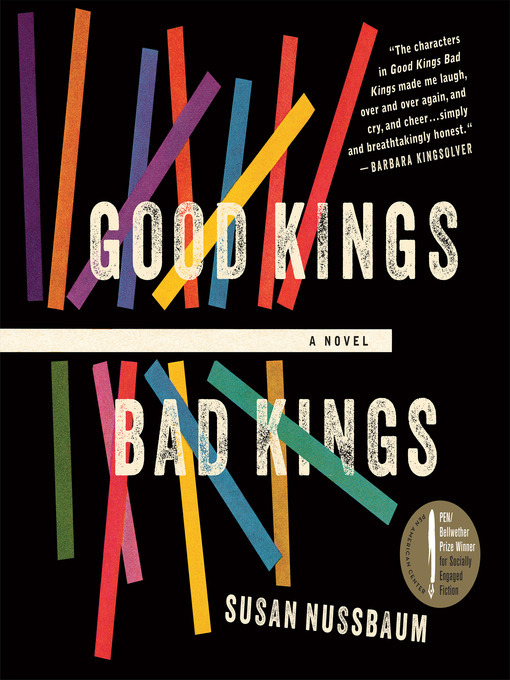 Told with humor and authenticity in voices that stay with you long past the last page, Good Kings Bad Kings is at once strikingly original, baldly funny, and profoundly moving. Alexander Cendese (Teddy Dobbs), David Ledoux (Ricky Hernandez), Karen Murray (Jimmie Kendrick), and Daya Mendez (Mia Oviedo).